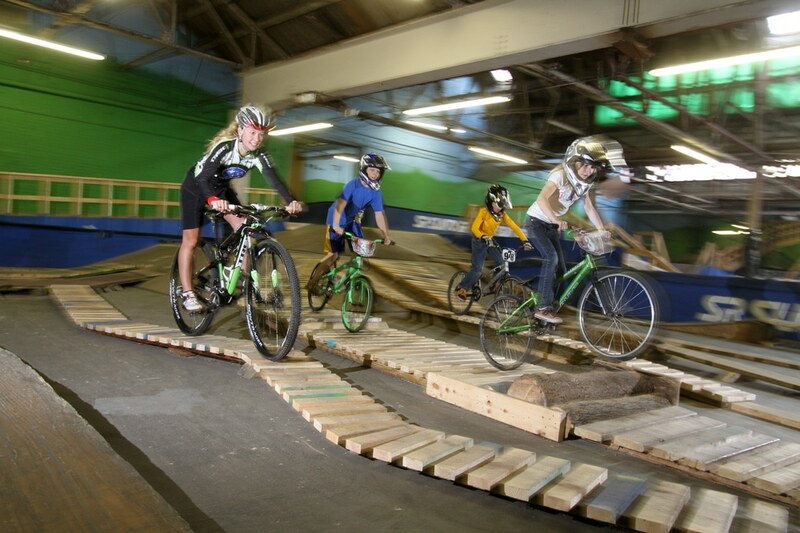 We’re going back to November of 2011 with this photo from Ray’s Indoor MTB Park in Cleveland, Ohio. This shot was taken in an extra building that park founder Ray Petro was using in order to offer dirt jumps to the riders who wanted them. Trek’s Emily Batty had fun riding this boardwalk section at Ray’s with some of her younger fans. This is Ray Petro, the founder of Ray’s Indoor MTB Park, in a shot taken several years ago. Ray suffered a serious spinal cord injury in a mountain bike crash in September 2017, when he slid out on some leaves while riding an outdoor trail in Cleveland, Ohio, and crashed into a tree. The resulting injury left him unable to use his arms or legs. Ray has since regained some use of his right arm, but he could use additional prayers for further improvement. 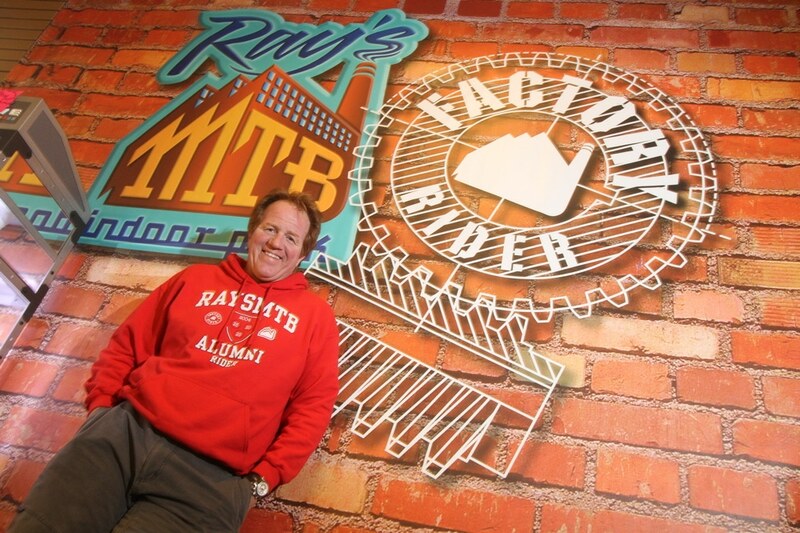 Ray’s Indoor MTB Park is still open and doing well, despite Ray’s injuries. The park will be open through the last weekend in April this season. The hours are 12 noon to 10 p.m., Monday through Friday, and 9 a.m. to 10 p.m. on Saturdays and Sundays. During the warmer months, the park closes for maintenance and improvements, then opens again in the fall.